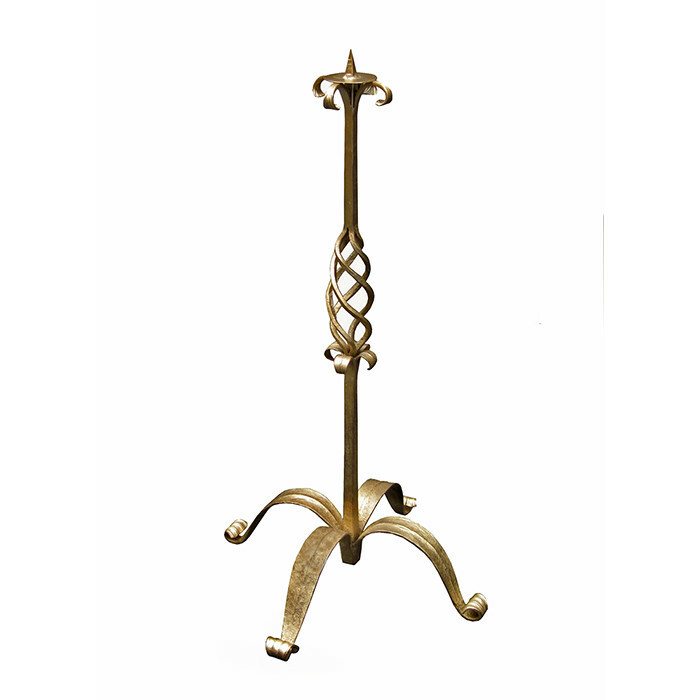 An Art Deco floor standing wrought iron candle holder. Wrought iron with scrolled and braided details. Dimensions: H: 39 Base: 21½ x 21½ Inches.